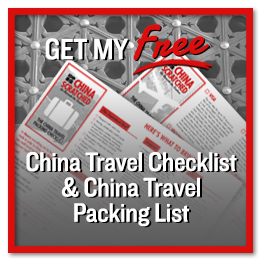 Think you’ll only see temples, palaces and other great wonders in China? I can promise you’ll be taken to exhibitions, factories and workshops that – surprise! – also have a huge showroom! A silk carpet to bring home, maybe? If you travel in a group or have a local guide for your and your company, you are likely to be taken to shops created to cater for foreigners only. Basically, the guides will take you here, because they get a payback from the sales. The cheaper the price, the more shops you’ll visit. So if you insist you don’t want stops like this in your itinerary, you´ll probably get a very disappointed guide, unless you get it across that you’ll tip enough to cover the loss. On the group tours it can be hard to avoid them, but they don’t have to be that bad. Most of the shops have an exhibit of how the product is made. Of course, this is done to justify the high price: when you see how time-consuming, rare or of high quality the product is, you are of course more willing to open your wallet. But you might actually learn something interesting. The products are special for a reason, and do you really know how silk is produced or how to tell a real pearl from a fake? Didn’t think so. Many of the shops have a small coffee shop where you can get tea and a cold beer if you’re not in a shopping mood. In the pearl shop you’ll see how they collect them from the cultivated shells, and then have the chance to buy a trillion different styles. Ready made jewelry, made to your instructions, pearls by the yard, different colors, sizes and qualities. Ask for a demonstration on how to see if pearls are real, that can be useful if you want to buy pearls (cheaper) later at the markets. 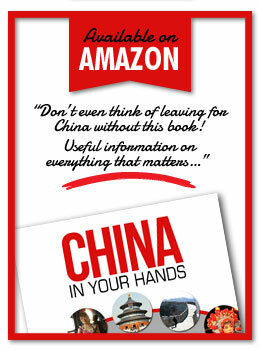 This special for Beijing, and in the factories, you can see the process unfold. They start with a copper object, on which they glue on a pattern of copper bands. The dents are filled with colorful enamel, burned, filled again for 6 times and then polished. 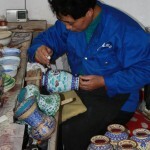 The end product is definitively a piece of art, but the design is often on the Chinese side. Most tourists tend to focus on the harsh working environment, it’s not exactly by western standards. The shop following the tour definitively is, though. 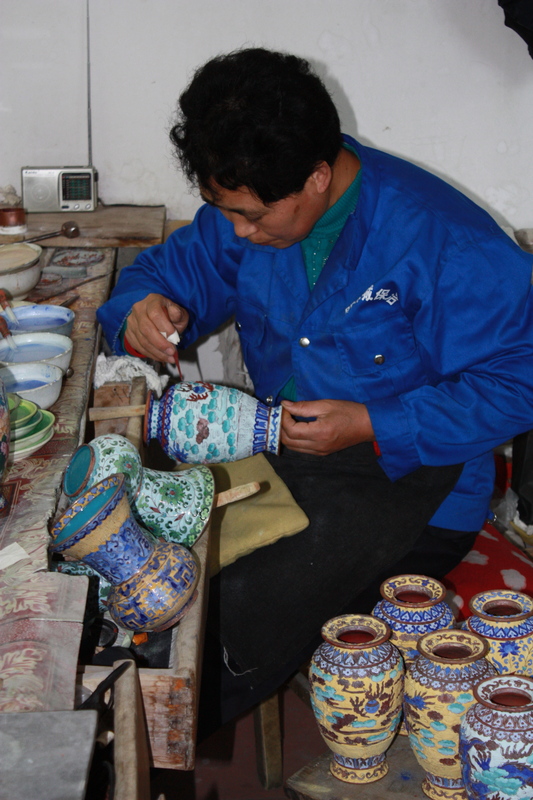 Jade is a rock highly loved by the Chinese, and it is fun to see how the artisans are able to carve beautiful and intricate objects out of the colorful stone. 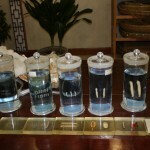 In the store you’ll see some amazing pieces, where the form and color of the stone is utilized fully. The prices for good quality jade is very high. 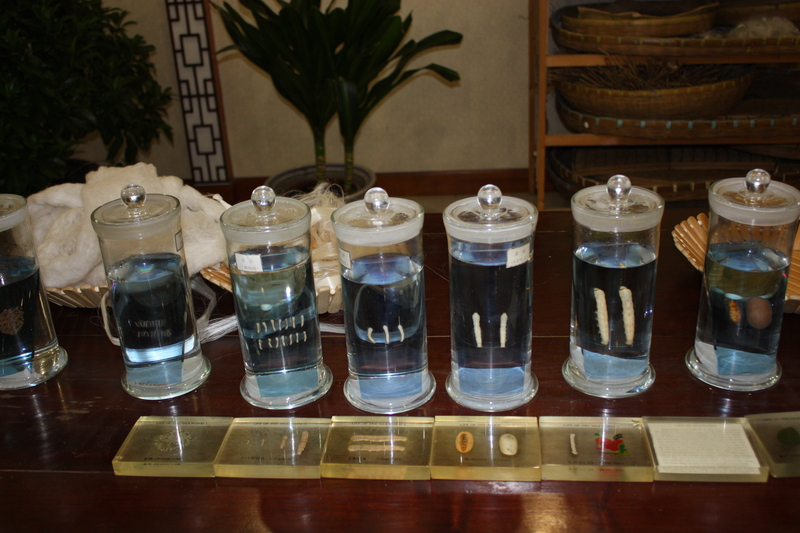 In the silk store you´ll learn how the silk worm is raised and about its short cycle that ends when the cocoon is boiled to get the precious silk thread. Then you’ll be shown how the double cocoons are used to make a super soft, light and fluffy duvets. 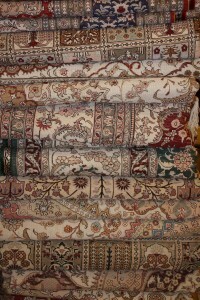 The silk store will sell duvets in all sizes, covers, clothes of different design (the most fashion forward might have trouble finding clothes that will appeal) and silk carpets. 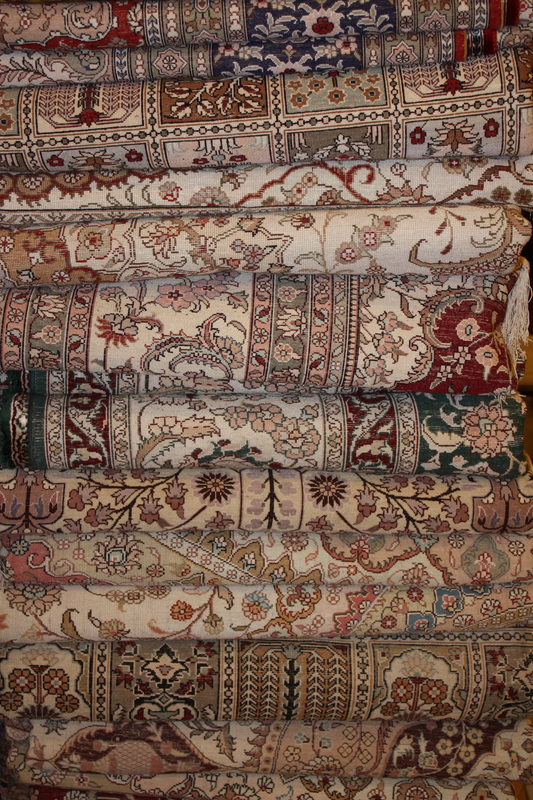 Just like the persian carpets, they are hand-knotted in intricate patterns, but in a different color palette, more soft and shiny. 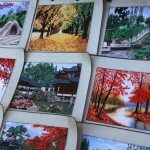 Specially if you are traveling around Shanghai, you might be taken to a silk embroidery work shop. 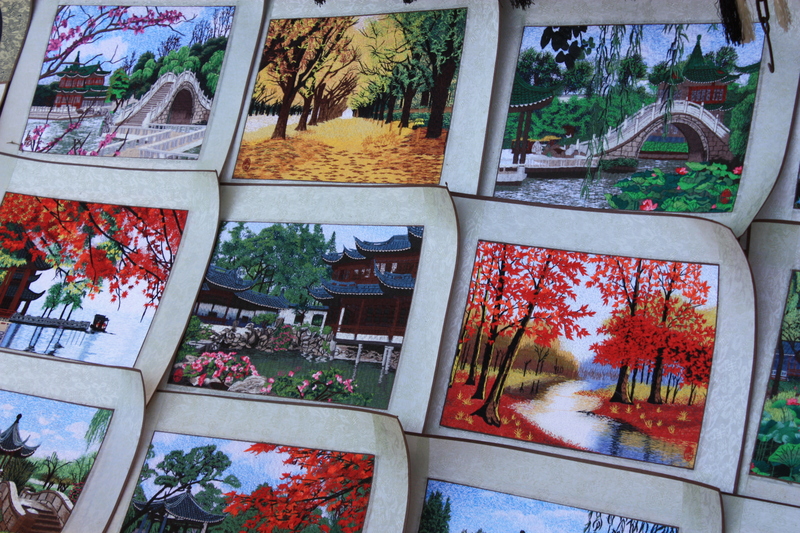 The technique is that they use silk thread in all the colors of the rainbow and create pictures that looks just like photos. Many are mounted in frames so that you can see the picture on both sides, impossible to tell which is the reverse. Impressive hand work, but again, the design and usage might be questionable. Cashmere is wool obtained from the neck region of Cashmere goats and is extremely soft and warm. You´ll learn about the harvesting of the precious fiber and then get a chance to buy mostly sweaters, cardigans and scarves. Unfortunately the designs are not always too up to date, but you should be able to find some basic stuff. 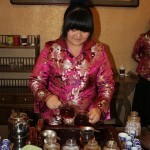 Especially during the cold winter days, being taken to a tea ceremony is actually quite nice. 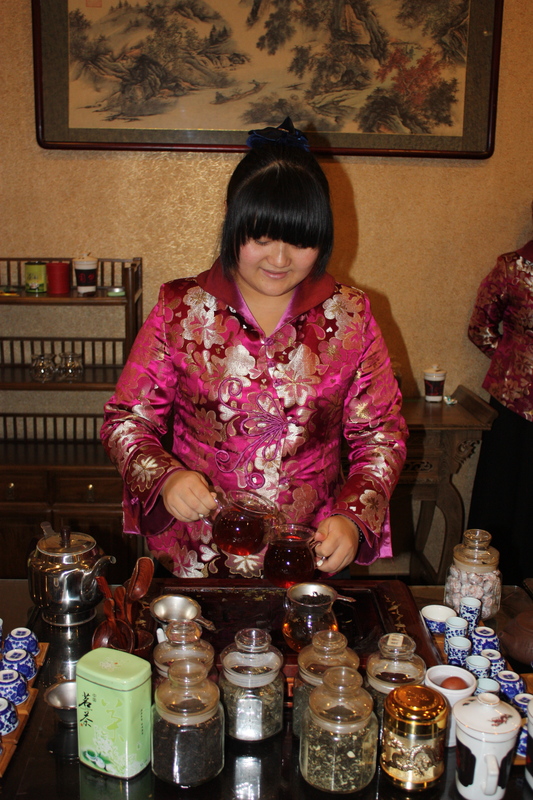 You get to taste a lot of different teas, and the well spoken lady will tell you all the different benefits the brew have. Bad blood circulation, body fat, weak livers, thin hair or poor digestion? You can be sure there’ll be a Chinese tea that can help against it all. So should you buy anything at these shops? I’ll never tell anybody what they should or shouldn’t do. If you find something you like for a price you are willing to pay, by all means buy it. That said, many of the things can be found at a lower price on the markets and smaller shops. They might be fake, of course, and that is a risk you have to take, if price is what’s most important. The shops will claim they only sell high quality and real goods, but never forget to use your hands, eyes and common sense. If you don’t think its worth the price, don’t buy it! 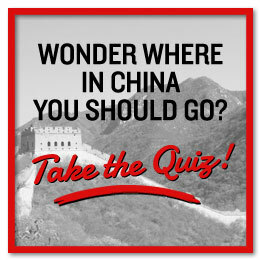 Where in China should you go? Take the Quiz!